Welcome back to my Iris Murdoch readalong and we’re fairly galloping through them, aren’t we. 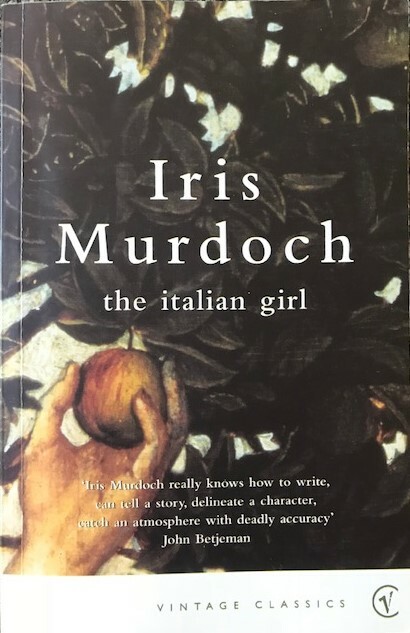 Today we review the small and not very much discussed “The Italian Girl” and preview another book considered “minor”, I think it’s fair to say (partly because Murdoch herself apparently changed her mind on it), “The Red and the Green”. I reviewed this one nice and early in the month here and we’ve had a bit of discussion in the comments already. Bookish Beck reviewed it on her blog but did comment that she felt she got more out of my assessment than out of the book itself. Annabookbel read her late mum’s first edition and reviewed it here. 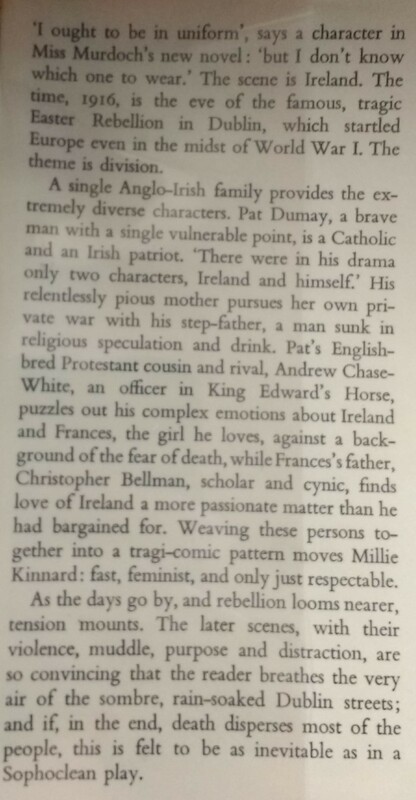 Jo has written a very thoughtful review highlighting Edward’s use of female stereotypes here. Bookish Beck also submitted this great cover image from the 60s – one of the pretty horrific series of covers they did for her, which I secretly really like. And also the 2000 Vintage Classic before my edition, featuring The Fall by Hugo van der Goes, so a range of themes overall! 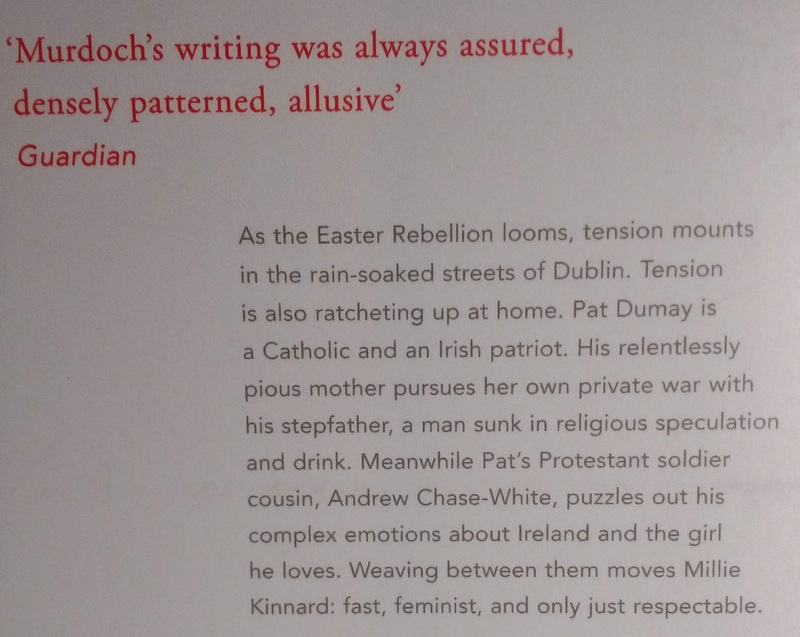 Murdoch’s Irish historical novel is set in a very different Ireland to “The Unicorn”. It’s a mix of sexual farce and serious history which received mixed reviews on publication and I’m not sure is read much today (although I’m sure I met someone who said it was their favourite of her novels once). The cover image on the Penguin is Lady Lavery as Cathleen in Howihan by Sir John Lavery. I really don’t like the first edition image in the middle – what is that supposed to be? and I really like the gloomy and dread-filled new Vintage cover. I paid the very much lower of the two prices for it. Are you going to be reading or re-reading “The Red and the Green” along with me? Are you catching up with the others or have you given up)? What’s your favourite so far? I’ve been getting on really quite nicely with my reading this month, with twelve books read – it’s a shame only five of those have been 20BooksOfSummer project books, but I kind of knew that would happen. I only have one NetGalley book and one book for Shiny New Books that I absolutely HAVE to read next month (OK, plus my Murdoch A Month) so that should allow me to get through a few more, and I have some slim novels and running books coming up. Not the second volume of her autobiography we’d really like, but a book based around her popular (but unheard by me) Ramblings radio programme, describing people she’s met and walks she’s walked along the course of presenting it, and weaving in tales of some family walks around her parents’ home village and bits of her life here and there. There’s a lovely chapter on the London 2012 Olympics (why does even reading about the opening ceremony still make me cry?) and her torch-bearing exploits and reporting on the swimming, and also a great chapter on the Walking Cure where she explores research and practical examples of the mental health benefits of walking (something I care about sharing deeply, as I help support a local Run and Talk initiative which encourages people to walk, jog or run and have a chat). She goes to Cornwall and doesn’t walk in areas I know but does talk about the Minack Theatre, where a friend of mine works, and she generally meets inspiring and fun people and has a good old walk. There are nice maps and photos, too. There is a very sad section about the loss of her puppy which I had to skip, but otherwise sweet and engaging and a fun, pretty light read with some serious messages. This was Book 5 in my 20BooksOfSummer project. I reviewed Benjamin Zephaniah’s new autobiography on here recently, but I also submitted a less personal and more measured review to Shiny New Books, which was published this week. Do click through and use it as a springboard to find more fun new books to read! I’ve now started reading Robert McFarlane’s “The Old Ways”. When I posted my original 20 Books Pile, a few people told me they’d been a bit disappointed by this, and to be fair, I set its bulk aside for the lighter Clare Balding book when I was having a slightly taxing week. But I’ve now started it (and discovered it’s almost like a heavier, more serious version of “Walking Home” anyway, being about, well, walking, the history of walking and people he meets along the way) and I’m finding it just marvellous, lyrical, full of lovely terminology and birds and landscape. I was a bit worried it was going to be the kind of book you have to immerse yourself in with swathes of time to read it, like on holiday, but actually I’m finding dipping in at mealtimes gives a lovely escape into a different world for a moment. Look at me getting on with my 20 Books of Summer list like a pro. OK, it is 26 June as we speak and I’ve only read four of them, but I’m sure I’ll catch up. Certainly having worked on my work schedule, I’m finding more time for reading at the weekends at least, and some more time during the week. It’s also been lovely to get some reading in the GARDEN done – outdoors, in the sunshine, soaking up that Vitamin D. We have managed to get the garden reasonably tidy, too, keeping on top of the lawn, weeding and deadheading – there isn’t much to our garden and gardening isn’t a joy to me, but it’s nice to keep it tidy. At the moment, the hedges in the back are large and fuzzy, but we have birds nesting in them and I’d rather have lovely birds than neat hedges and no birds! Would you like a bonus bird picture? I’ll pop one at the end. Oh, and look at the date of acquisition of this book – I’m only 11 months behind at the moment! Poundland do have a shelf of books and you never know what you might find – the slightly out-of-date autobiography of the UK’s most decorated wheelchair athlete for starters! This is an honest and open autobiography (written with David Bond, who gets a credit on the title page and a bio at the back) full of exciting race report but also reflecting on disability, disability sports and training regimes. It was published in 2013 so is a bit out of date, but also positive, pretty well ending on the high of his London 2012 triumphs. We open, as all London 2012-based sports biographies do, with him preparing to race in the Paralympics. He explains exactly how he gets into and stays in his racing chair and I appreciate the level of detail throughout the book on the technical details of steering, etc., which adds a good level of depth to the narrative. We’re then back to a chronological telling of his story, from his father’s uncanny ability to recover from effort when in the Army, which he shares, through is early life fitting in with the other kids and not considering himself disabled. Weir, who went to a special school, speaks of changes in attitudes towards disabled people since mainstream schooling as a default came in, however I was pretty shocked to read him state he would consider terminating a pregnancy if a child of his was disabled themselves: “… because I was brought up disabled, I wouldn’t want a child to be brought up in the same situation as me” (p. 147). I suppose he has the right to his opinions, and it’s great that he’s honest, but I was still shocked. Moving on, it’s a book full of respect and praise for his coach, Jenny Archer – whose advice he prioritises over that of UK Athletics even when that gets him into trouble – and mentor Tanni Grey-Thompson. He’s pretty scathing about the different treatment given to disabled athletes in comparison to able-bodied ones, but at least he has sought to address that by setting up the Weir-Archer Academy to help young disabled athletes, including people who want to take part in sport for fun and to keep fit (I particularly liked that bit). Weir is open and honest even about less positive aspects of his own life, such as his long-past recreational drug use and his debilitating fear of flying. He’s obviously an anxious man and it’s refreshing to see him share this, as well as his concerns about and for his children. In the end, I enjoyed most the bits about the technicalities of racing, shouting across to his friend Josh Cassidy about getting boxed in (I never knew they could call out to each other during races), etc. A good read. This was Book 4 in my 20 Books of Summer project. Oh, bonus bird pic. 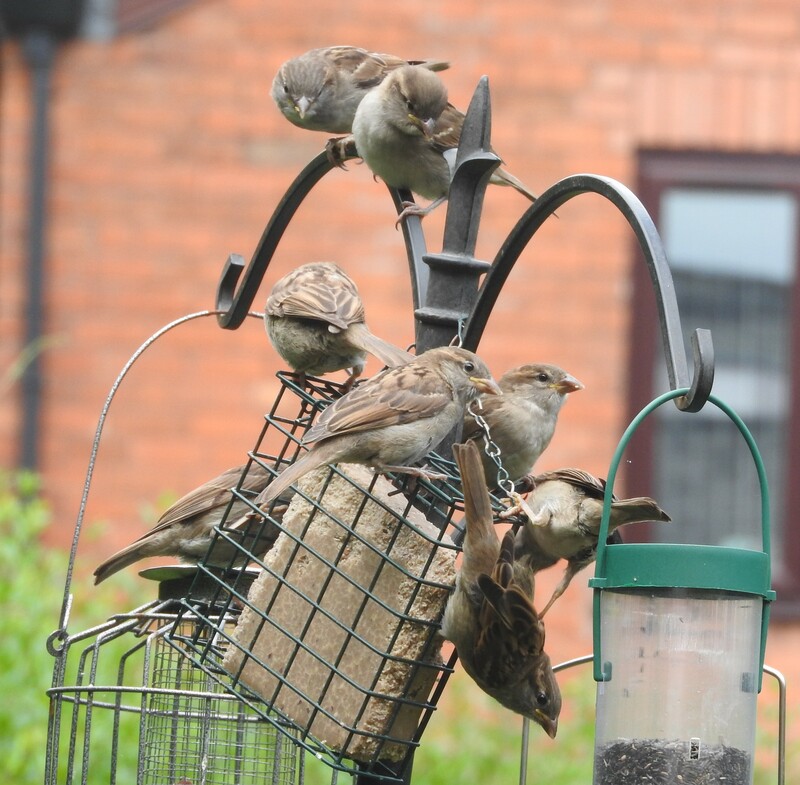 HOW many sparrows? A note on speed. I am not a fast runner. I never have been, and I’ve been through my horribles about this, but felt much better once I’d run (yes, run – someone said in a Facebook group it’s not possible to be running and get these times: erm, yes it is) some marathons. I might not go fast, but I do go far. Aaaaanyway. I used to get scared doing speed work and track sessions, worried about trailing in last with everyone waiting for me. But my lovely supportive club (Kings Heath Running Club) and the great coaches have made me more confident and I do try to do one of the coaching sessions on offer every week. They try to make it as inclusive as possible which I know is hard work, but I appreciate the opportunity. Tuesday – I did club run the right way around, although we had to swap routes as there’d been a car accident at the start of the route we were supposed to do – we came past the aftermath at the end but anyone involved had been taken to hospital and the police were clearing up (and cheered us up the hill). A gentle and careful one as I was saving myself for track on Wednesday, but wanted to get out there: I ran with various friends who are rehabbing various injuries or just wanted a gentle one, too. I ran up with my friend Trudie, who was taking the beginners’ group and thought she was late, so got a turn of speed on there, so we took it gently on the way home. 5.4 miles in total. Wednesday – Dave yoga in the morning, notable for me trying and giggling at trying to do the other extension of the twisted side angle which involved me trying to get my hand to the floor while squishing my stomach/side against my leg, and managing to get into a shoulder stand for 3 breaths before subsiding – my longest go at that since the 90s. Only doing 20-25 miles a week running is allowing me to develop my yoga practice, I think. In the evening, a track session at our local council-run track and leisure centre, about 20 of us there. 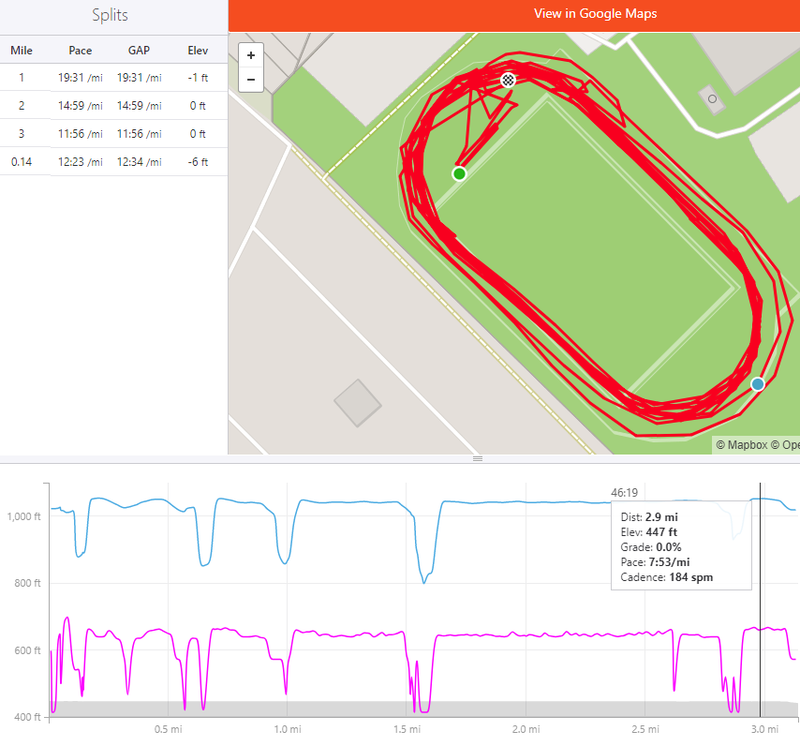 We did some long intervals, so after warming up and doing some out and backs, we did one, two and four loops of the track at speed with recovery. We finished off with a negative splits game where we had to run for 2 minutes clutching a cone with a number on it, drop the cone and come back, then run to our cone in 1:48, so 90% less time. I have to admit to having guessed what was going on and dropped the pace a little for the first effort, as you can see from the pink line (cadence) on the record, but I was amazed to apparently hit under 8:00 mm pace in the second bit. I also got my 1st, 2nd and 3rd fastest loops of the track (I’ve been once before; nice to see I’ve “improved”) and my fastest mile (10:17) on the flat, I think ever. Hard work but fun. Lots of stretching at the end means it was only really calves and fatigue on Thursday. Friday – I continued my theme this week of running on days I don’t normally run and had a lovely early morning run with my friend Jen – as usual, I ran up to our meeting point near her house, taking the long way around, and then we ran a customary 3 miles, then I followed her back towards our meeting point to get 5.7 miles in total – not bad and about my limit before breakfast. We were also a bit more brisk than usual, with an average pace for me of 11:49 mm. It was sunny but cool and got hot later. 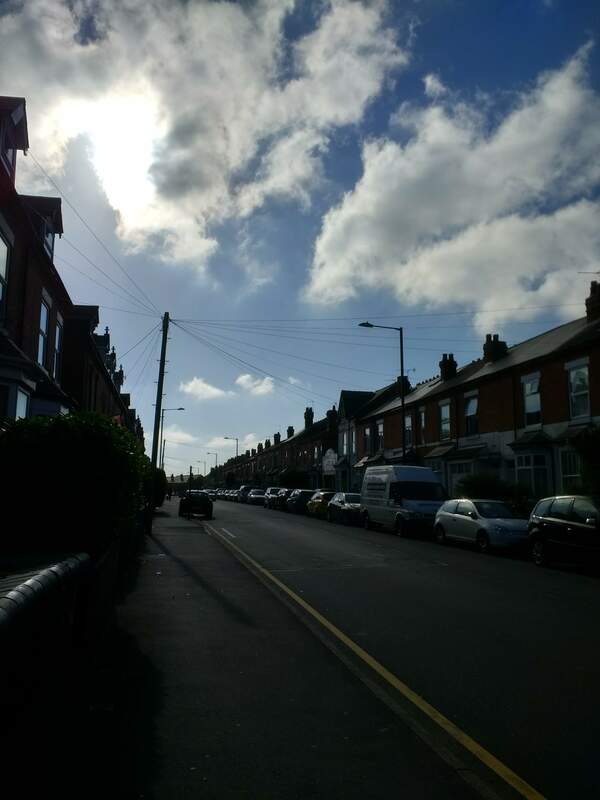 For those who run in the US, this is a typical Edwardian suburban street, with terraced houses and atypical blue skies. I went to Claire yoga which was a really slow session, very hard work on the arms and shoulders but it was fun to mix it up a bit. We did a different sun salutation involving standing with legs bent, sitting back, with our arms straight forward, for AGES. Fun times! The skies were blue actually! Saturday – I am on the rota to support our running club’s beginner and run sessions on a Saturday morning and today was my duty. I didn’t have any beginners to support, so helped Afshin to run the 4-mile half-marathon training run (we usually offer 4 miles on a Saturday but this will be gently increasing in the run-up to the Birmingham Half). It’s billed as being 12-13 mm, to attract and reassure newer and slower runners, with faster people being welcomed but asked to buddy up. I ran with Ursula, who I run with quite a lot and was a bit jet-lagged after a recent trip and Chris, returning to the distance we were attempting – we had a nice discussion about Henry II (as you do) and managed the route in 12.15 mm with some walking on the hills. 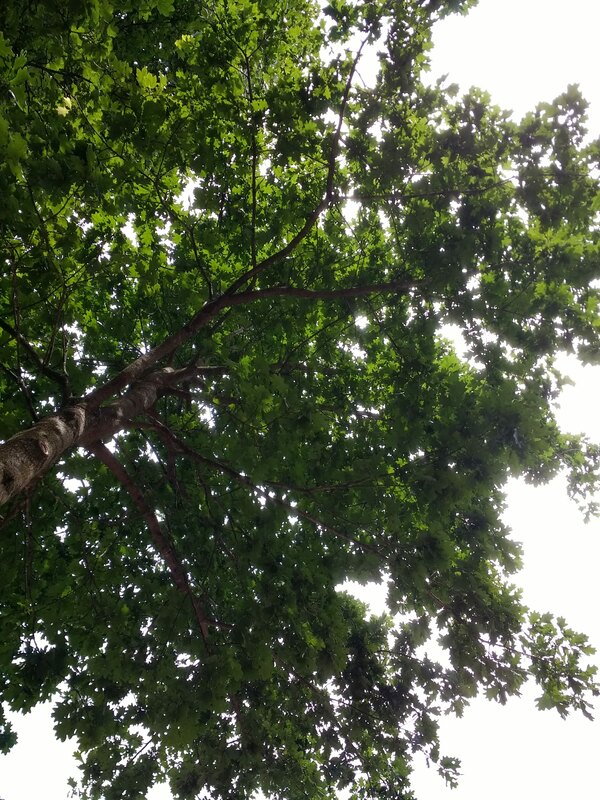 We all did some stretches afterwards and I caught this pic while lying on my back under a tree in the local park. I’d run 2 miles there and ran the 0.6 miles back to give me a total of 6.7 for the day – I suppose today and yesterday added up to my long slow run for the week. I then weeded and tidied the two small flowerbeds in our back garden for about 45 minutes; a nice bit of squatting to finish off my exercise week! Alas, I fear my cunning plan to leave review books (Shiny and NetGalley) off my 20BooksOfSummer pile is not doing me any favours (did anyone see THAT coming??). 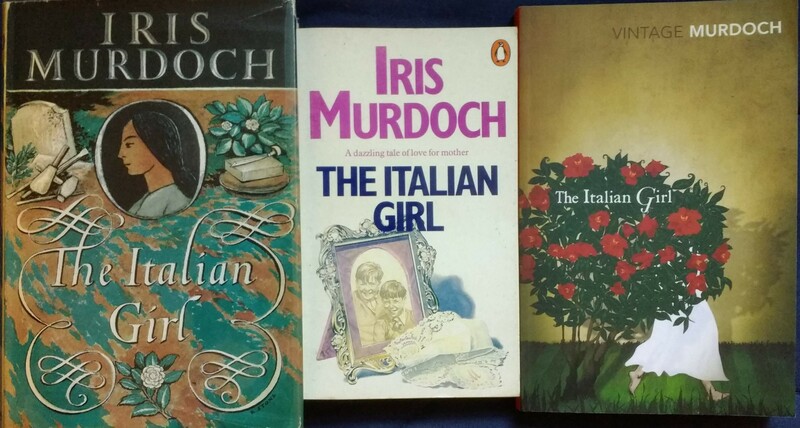 So far this month, I’ve read and reviewed eight books, of which three were NetGalley review reads, one was for a Shiny / here joint review, one was just a normal read left over from last month, one was my Iris Murdoch for the month and two were for 20BooksOfSummer. Hm. And this one, well, a bit disappointing (and that’s after having given up entirely on “The Accidental Apprentice”). I love George Eliot and I’ve been gradually reading all her books, after a phase (lasting 20 or so years) when I only read and re-read “Middlemarch” – as I find them, to make them last, and I do still have a few left to get hold of. I found it hard to get into this one and hard going; I don’t mind working for a classic but there wasn’t much to get hold of here, I found. At least I’m now under a year behind in the gap between acquisition and reading … That’s something, right? So, sorry, George Eliot, this didn’t hit the spot for me. I’m sure many other people have read this and can change my mind … maybe. This was Book 3 (oh no, oh woe!) in my #20BooksOfSummer project. Find the whole pile here. How’s your #20Books going? Am I wrong about this Eliot? A wonderful book bought only recently (you can just see it behind the pink and black Thirkell in the pic), but read out of order because a) I wanted to and b) I offered to submit a review to Shiny New Books. That will be published later (I’ll link to it here as usual) and will be a more distanced and serious affair. This post is more my personal reaction to this book. As Zephaniah is about a decade and a half older than me, his protest and political poetry has been with me since my own political awakening in my mid-to-late teens. He was already a hero of mine; fortunately, this book has only made him more so. You have to love an autobiography that starts with the words, “I hate autobiographies”. For a man who has lived a life based on authenticity and rawness, the fakeness of other people’s works of memoir is an annoyance, especially those who want to tell you about their side of the story when they’ve committed bad deeds, or people who are very young and write them just for the publicity. He does speak with love and affection of his father figure, his mum’s partner Pastor Burris, who acts like more of a dad than his dad does, leading him to repay this debt at the end of the pastor’s life. The first part of the book does detail quite a lot of criminal activity – not gory detail but there’s plenty of it and stories of people who are lost to gang warfare and other activities. He also describes taking part in a ‘gay-bashing’ episode, falling victim to peer-group pressure, and hitting a guy in a wheelchair – I personally found it OK that he’d put these in, as he’s obviously ashamed of these actions and wants to make amends, and explains how it happens, perhaps to help other people make better decisions. He also explains a lot about the martial arts practice, running and meditation that he works on every day, seeking balance and peace in his life, so I think that balance is there. A vegan before he knows the word vegan (and beating up someone who calls him one before he realises), he gets involved in animal rights activism but is asked to stop coming along to active operations because he’s just too recognisable, what with the massive dreads and the habit of breaking into spontaneous poetry. The book is full of amusing episodes like this, certainly not put in to glorify the subject (I also loved it when he got mistaken for Bob Marley on a plane). There were loads of little points that made me smile. He did quite a lot with the wonderful Attila the Stockbroker in the early years of stand-up poetry in the UK when he was one of the few other ‘ranting poets’ (you can read my review of Attila’s autobiography here) and he’s also friends with the linguist David Crystal, borrowing his “just a phrase I’m going through” from Crystal’s autobiography to describe his early use of a lot of biblical imagery in his work. I was also very pleased with his little rant about self-publishing – thank you! As he gets more famous, he has to work out his media identity, as he finds that ranting about political topics doesn’t always get him very far. But he still does it whenever he has an audience, and good for him! He has an interesting take on the recent and 1980s riots, seeing it as all part of Thatcherite greed and wondering why the bankers get away with swindling the banking system but ordinary people loot a telly and the whole of the law comes crashing down on them. The points he makes about disenfranchised youth are close enough to those put forward in the grime book I read recently to make joined-up sense. There’s loads more than this: him discovering Nelson Mandela read his poetry in prison and meeting the great man; John Peel’s concern when he does a gig in Harlow; meeting the Wailers; and becoming friends with Tony Benn. There’s also a lot of very interesting musing on men’s infertility. Sometimes I felt I’d really like to see him in conversation with Robert Webb about boys’ upbringings and men’s need to suppress their emotions. But if you are interested in this stuff then you’ll read the book, won’t you. But I don’t just want to think of this book preaching to the choir: even if you don’t know who Benjamin Zephaniah is, I highly recommend this excellent read. This was not on my #20BooksOfSummer list, but was picked off the shelf to review for Shiny New Books, with a more personal review here. I have rejected my first #20Books book, as “The Accidental Apprentice” opens with someone on death row and seems to involve kidney harvesting and is Not For Me. I haven’t swapped it as such, I’ll just add another fiction book in I was going to skip over. I’m currently reading George Eliot’s “Scenes from Clerical Life” and am enjoying it now, though found it a little hard to get into. What are you up to? Don’t worry, regular book review readers, I haven’t turned this into a running blog! this is my personal blog and I’ve found I’d like to record my running a bit more fully. I also thought it might be interesting for people to read about an ordinary, sedate, fairly experienced runner who’s not racing madly or doing particularly exciting things, but keeping on running for her mental and physical health. I might be wrong, of course, and I’d love feedback. If you’re not interested in these posts, there will be one a week, on a Sunday (ish) and you can feel free to ignore them and wait for the next book review. 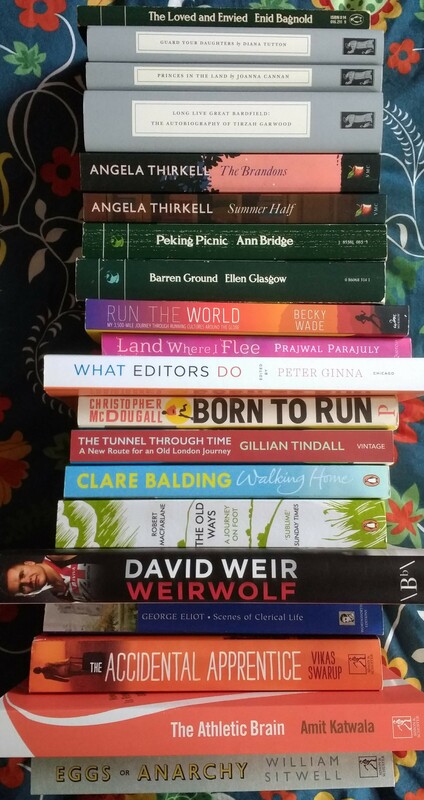 Running readers who aren’t so keen on book reviews, do keep an eye out as I read lots of running books! This is a work in progress, and do feed back if you love / hate this new strand! 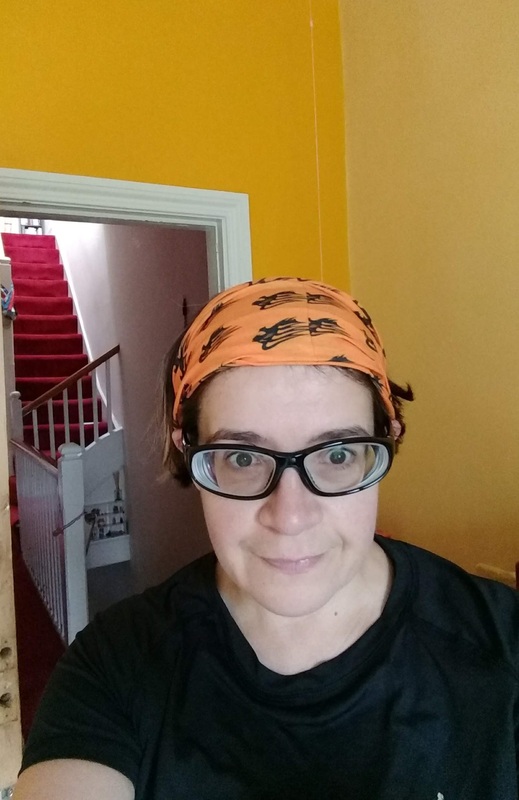 A tiny bit about me: I’ve been running for about 20 years, starting off for the sake of my health and doing the London Flora Women’s 5k runs. Got more serious about it when I moved to Birmingham and did a few 10k runs then the first five Birmingham Half-Marathons. I joined Kings Heath Running Club and with their encouragement did some more halves and then ramped up to do three marathons (so far) – Reykjavik in 2016, Birmingham in 2017 and my own DIY one with lovely friends when I missed out on Manchester due to illness in early 2018. Having said that, I need to point out that my marathon times have been 6:01:15, 5:52:00 and 6:15:00. So I’m definitely a sedate lady but fit and committed and I need my running to keep me sane. My biggest achievements in running apart from my maras have been volunteering for parkrun 115 times and counting, gaining my Leadership in Running Fitness qualification in 2016, qualifying as an Endurance Official Level 1 this year (working towards Level 2) and becoming an England Athletics Mental Health Champion in 2017, and helping grow the Cannon Hill Run and Talk programme as part of that. So running’s a big part of my life, but speed and racing, not so much. I’m going to share my running once a week as part of Wendy and Holly‘s Weekly Wrap. Finally (phew) what have I been up to this week? Tuesday I did our weekly 4-mile club run backwards with a friend. Why on Earth, if the run starts and finishes in the same place at the same elevation, should running the route in the reverse direction be so much harder? Those hills! I’ve been trying to work on my stamina and resilience after dropping off slightly after my DIY marathon, so it’s good for that, right? 4.4 miles covered including there and back and modifying the route. Elevation on the main run 208 feet. Wednesday I did Dave’s yoga class (the second class, which is a hatha option and less taxing than the first class of the day, which I will move back to one day). I managed to get my knee off the floor in a version of twisting side angle pose, which means my balance and leg strength is improving, though my right glute and hamstring are still tight. Thursday I took myself off for a solo run. I have had some shockingly bad ones in this slot, including sitting down outside a park and crying and walking home very slowly (I had a bad reaction to re-starting a blood pressure medication which seems to have settled down now). I decided to practise my hill technique (down and up) and add some surges in (like a mini-fartlek, running as fast as I can for 10 paces then dropping it down for 50) and managed these through Mile 3 onwards, showing as little upticks on my Strava. I was really pleased with how it went – 5.7 miles in total, the first three all downhill and the last 2.7 all uphill so no negative splits or other fanciness, but 11:20 minutes per mile on average, which is pretty speedy for me, and I beat 2015 Me on a couple of segments (2015 Me is fastest me since I’ve had a Garmin watch). Leg turnover (cadence) was slightly faster than my irritatingly standard 164 steps per minute, something I’ve been trying to work on. Elevation 234 feet. Friday I did Claire’s yoga class and managed the twisting side angle knee off the floor bit again, but fell asleep in the guided meditation. A friend came to the class as a guest (I go to a gym class) and we had a hot choc afterwards. Sunday was long slow run time as for so many runners. I went out with four friends, two wanted to check they were on track for the Leamington Half in two weeks’ time, the others just wanted some distance, as did I. We did my good old 10-mile route (I need some new routes, actually!) and I added on some getting to our meeting point and back. 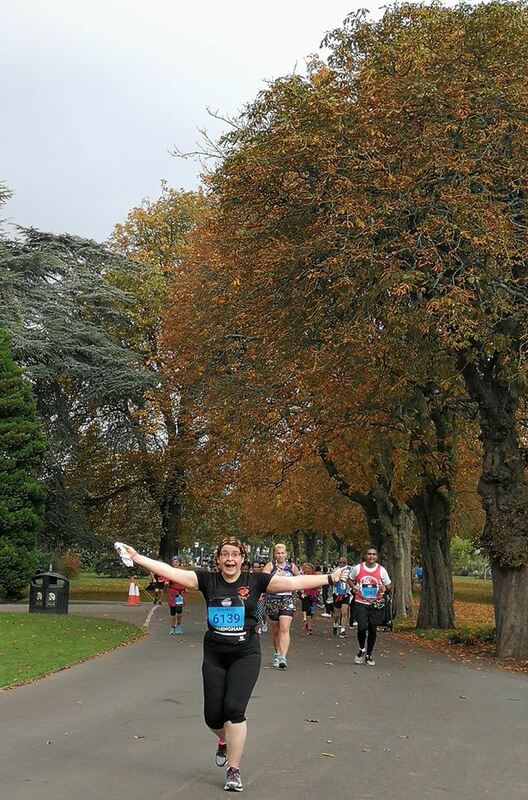 I have been supporting Ruth, who is trying to do a half-marathon (official or not) every month to raise money for the Alzheimer’s Society, in memory of her dad, in a few longer runs recently, which is lovely, as we trained together for the Birmingham Half a few years ago. She’s taken to the Jeffing technique (Jeff Galloway’s run-walk programme) very well and it’s helped with a few issues, and is worth looking at if you’re getting exhausted but want to go long still, as that’s how it’s helped her. 11.56 miles for me (recorded 11.4 but my watch was off after a crossing for 0.16 arghhh) for me at an average pace of 12:25 – very happy with that as there were some big hills. Elevation 550 feet. My right glute and ham are a bit sore so will continue with my stretches. Edited to add: I forgot to include the bit where I spotted an Icelandic flag on a pub, and shouted “Afram Islands” and also “HU” with my arms in the air for the HU. Never been disowned so quickly! And I’ll have more photos next week. So a good week with a variety of runs at different paces. Next week is a bit odd as I’m run-walking with a friend who’s getting back into it, going to a track session with a club coach and supporting a club beginners’ session, so not sure what I’ll do around those. Wendy’s weekly wrap is here and Holly’s is here. How exciting to be joining them for the first time!